If you own or manage a building that consists of 6 or more units, or you own or manage a building with commercial space, you are required by law to have your boiler inspected annually. 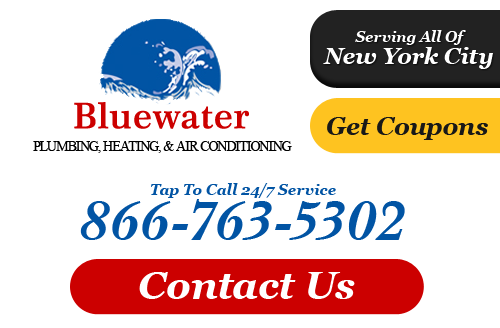 Bluewater can perform the heating inspection, make any necessary repairs, and file the forms required by the New York City Department of buildings. Our heating plant inspection specialists can assess your heating elements so you can be aware of any problems or malfunctions and have them repaired before they become to bad and cost more money to fix. We are the top choice when it comes to heating inspections in Queens, NY due to our thorough and honest evaluations. 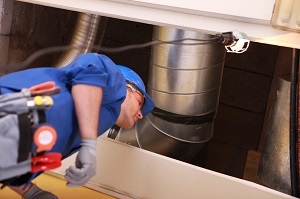 Emergency Repairs - You can't afford for your heating and cooling system to break down. We offer fast, efficient inspections and heating repairs that keep work flow disruption to a minimum. Hot Water Heaters - Whether you're running a small business or a major industrial complex we can perform routine inspections and repairs on all hot water heater models. Backflow Preventers - If your business depends on your plumbing system to flow smoothly, then contact us for ongoing backflow prevention and system maintenance. Safety inspection are a necessary and mandatory part of running your heating plant. Only a certified and professional Queens heating contractor can provide knowledgeable and thorough inspections that cover every component of your plant. We perform assessments that cover all tanks and containers, containment areas and release detection equipment, and ensure that you're current on all safety precations and maintain secure working conditions throughout the plant. We provide a complete checklist of the entire facility. Call us today for heating services in Queens or anywhere else in New York. If you would like to schedule a heating inspection in Queens or the surrounding areas for your commercial property, please call 866-763-5302 or complete our online request form.